In addition to being a professional tool, the soroban or abacus is also an educational tool. The abacus is widely used in teaching children counting and mathematics. Its classical, standard design allows for its ease of use as a professional and educational tool. Ideal for paste in the children's bedroom, living room. Color: as shown in picture. USA, Canada, United Kingdom, Austrilia, France, Germany, Spain, Ireland, Italy, Others. Canada, United Kingdom, Austrilia, France, Germany, Spain, Ireland, Italy, Others. Help to develop math, logic, problem solving etc. The toy is good teachers and helpful friends of children. Material: Plastic. We will try our best to reduce the risk of the custom duties. 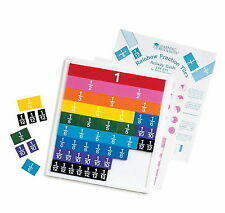 Can be used as classical education tool for teacher or a gift for abacus collectors. A nice tool for kids' early mathematic education. 13 bamboo rods, with 1 bead above and 4 beads below on each rod. 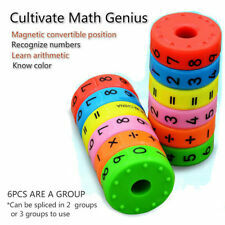 1 Set of Magnetic Mathematics Learning Toy (Include 6 Magetic Slice). Type: Magnetic Mathematics Learning Toy. Due to the light and screen setting difference, the item's color may be slightly different from the pictures. 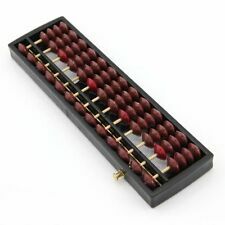 Wooden Abacus 100 Beads Counting Number Preschool Kid Learns Math Educationa Toy. This wooden abacus is a traditional, educational toy designed specially for the children up to three years old. In addition, your baby's muscle can also be exercised greatly. 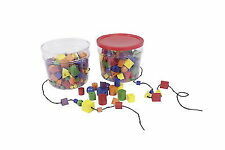 This item is a set of 100pcs colorful math counting rods, which has vivid colors deepen babies' recognition of colors. 100 x math counting sticks. - It makes learning fun, enriches the child imagination, stimulates children's logical thinking,improves children hand eye coordination and learning ability. 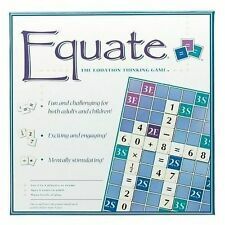 A very useful tool in general mathematics education. This small abacus awaken the child's motor skills and develop the learning of mathematics! 1 x Wooden Toy. Handcrafted wooden construction. Material: Wooden. Weight: Approx.0.11kg. Canada, United Kingdom, Austrilia, France, Germany, Spain, Ireland, Italy, Others. 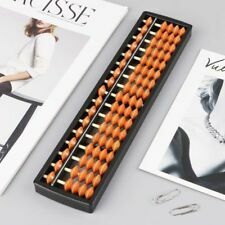 Can be used as classical calculator in office,education tool for teacher or a gift for abacus collectors. 1 x Abacus. Digit number:13. A nice tool for kids' early mathematic education. 13 bamboo rods,with 1 bead above and 4 beads below on each rod. 1 Wood Toy Set. Help your kids recognize and identify numbers and colors. We will do our best to solve your problem. Gender: Boys & Girls. Enhance daily fun for your baby. Makes Math tables fun! Brand New. Always open to best offers. Set of plastic numbered fraction circles includes 12 circles representing 1/1, 1/2, 1/3, 1/4, 1/5, 1/6, 1/7, 1/8, 1/9, 1/10, 1/11and 1/12. 12pcs Math Fractions Circles Toy. - Made of plastic with smooth surface, easy to hold on hands. Jumbo Squeeze Galaxy Ice Cream Cat Kitty Squishies Slow Rising | Relaxing Toys L. 3M Squeegee Applicator Tools Felt Edge Decal Vinyl Wrapping Scraper Kit L. Back Pain Acupressure Sciatic Nerve Be active Brace Point Pad Leg Beactive L.
Learning Resources 7 Double-Sided Fall Pattern Cards Plus 17 Counters Set.